As the Digital Media Marketing Manager at a2z, Inc., Juli Cummins’ priority is to educate exhibitors and attendees about a2z’s online solutions that can enhance their event experience. So, how do we do this? Before you can personalize anything, you need to know who you are talking to. As usual, the champion (and yet at times the thorn in any marketer’s side) is DATA. You need to know and collect as much information from your exhibitors, sponsors, and attendees as possible. I know that this is no easy feat if one is new to digital marketing but start by taking baby steps. Take a look at your current databases and lists. What information do you already have that can help you know your email recipients on a more personal level? I bet you know their first name! This then is where you can start. It has been shown that email open rates increase by 20% just by adding the recipient’s name in the subject line (source: http://www.superoffice.com/blog/email-open-rates/). If a name results in so many more opens, just imagine what can happen if you personalized your communications by knowing just a little bit more about each person. For example, you can use geographic location, title, company name, product interests, website behavior, and more. History such as registrations for sessions or purchases related to sponsorships can also be harnessed for personalizing your email messages. 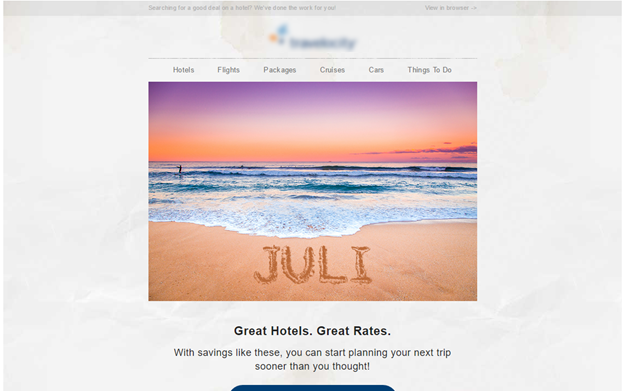 In my inbox, I see good examples of personalization all the time, just as I am sure you do too. Pinterest is known for sending its users recommendations based on their current pins and activity. This may seem daunting, but even if you segment your attendees into three groups based on the session types or session tracks they engaged with last year you will be addressing them on a more personal level than if you sent just one blanket email about registering for sessions. You can gather this session info from their past saved itineraries if you offer a planner tool on your website or in your event app and this information may also be available in your registration data if you have paid sessions. You can use personalization for reaching exhibitors too. You can tailor your copy to speak to exhibitors of varying sizes. Simply by dividing your list by the size of booth purchased and then speaking to those segments about planning tools and deadlines that they would be most concerned about can engage the reader on a deeper level. For exhibitors who purchase 400 square feet or more of booth space you may target them with specific sponsorships and remind them of hanging sign deadlines, etc. LinkedIn sends personalized emails with news announcements that they think the reader will be interested in based on the industry that the reader works in and other news items they have interacted with on the site. If you don’t feel you have the data to personalize your messages this doesn’t mean you can’t get the information. Think carefully about the best ways to segment the messages you want to send to your exhibitors and attendees and then decide what data you would need to target your messages appropriately. This data can be gathered at booth sign-up, registration, or even through the attendee’s website activity. As you gather more valuable data you will see new possibilities for segmenting your audiences and personalizing your messages more.